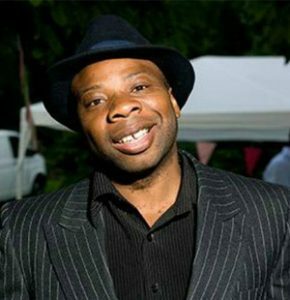 Dr Edson Burton is a writer, historian, programme-curator and performer based in Bristol. His academic specialisms include: Bristol and the Transatlantic Slave Trade, Black History in the USA, Cultural continuities between Africa & the New World. He has been a consultant and coordinator for a range of HLF and Arts Council history projects in Bristol including most recently a study of Bristol’s Old Market ward Vice & Virtue (2014). Edson has maintained a parallel career as a poet and writer for theatre and radio. His Radio dramas, the Armour of Immanuel (2007), the Chosen One (2009), have been Radio Four’s pick of the week and his newest work, Deacon, aired on BBC Radio 4 in July 2018. Edson is also currently artist-in-residence at Watershed, curating the highly regarded Afrofuturist season (2014), which formed part of the BFI’S Fear and Wonder Sc-Fi season. He is also an active member of Come the Revolution, a collective of curators from Bristol and Birmingham committed to exploring and challenging black life, experience and cultural expression through cinema.